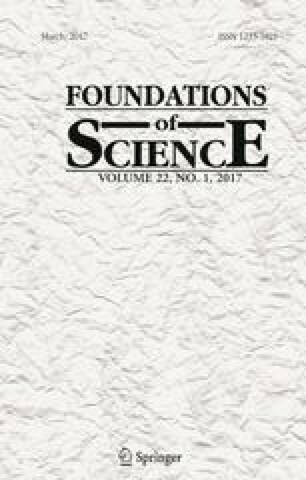 Foundations of Science recently published a rebuttal to a portion of our essay it published 2 years ago. The author, G. Schubring, argues that our 2013 text treated unfairly his 2005 book, Conflicts between generalization, rigor, and intuition. He further argues that our attempt to show that Cauchy is part of a long infinitesimalist tradition confuses text with context and thereby misunderstands the significance of Cauchy’s use of infinitesimals. Here we defend our original analysis of various misconceptions and misinterpretations concerning the history of infinitesimals and, in particular, the role of infinitesimals in Cauchy’s mathematics. We show that Schubring misinterprets Proclus, Leibniz, and Klein on non-Archimedean issues, ignores the Jesuit context of Moigno’s flawed critique of infinitesimals, and misrepresents, to the point of caricature, the pioneering Cauchy scholarship of D. Laugwitz. The work of V. Kanovei was partially supported by RFBR Grant 13-01-00006. M. Katz was partially funded by the Israel Science Foundation Grant No. 1517/12. We are grateful to the anonymous referees and to A. Alexander, R. Ely, and S. Kutateladze for their helpful comments. The influence of Hilton Kramer (1928–2012) is obvious. Bair, J., Błaszczyk, P., Ely, R., Henry, V., Kanovei, V., Katz, K., Katz, M., Kutateladze, S., McGaffey, T., Schaps, D., Sherry, D., & Shnider, S. (2013). Is mathematical history written by the victors? Notices of the American Mathematical Society, 60(7), 886–904. See http://www.ams.org/notices/201307/rnoti-p886.pdf, arXiv:1306.5973. Bascelli, T., Bottazzi, E., Herzberg, F., Kanovei, V., Katz, K., Katz, M., Nowik, T., Sherry, D., Shnider, S. Fermat, Leibniz, Euler, and the gang: The true history of the concepts of limit and shadow. Notices of the American Mathematical Society, 61, 8, 848–864. See http://www.ams.org/notices/201408/rnoti-p848.pdf, arXiv:1407.0233. Blåsjö, V. (2016). In defence of geometrical algebra. Archive for History of Exact Sciences. doi: 10.1007/s00407-015-0169-5. Kanovei, V., Katz, K., Katz, M., Sherry, D. (2015). Euler’s lute and Edwards’ oud. The Mathematical Intelligencer 37(4), 48–51. See doi: 10.1007/s00283-015-9565-6, arXiv:1506.02586. Katz, M., Sherry, D. (2012) Leibniz’s laws of continuity and homogeneity. Notices of the American Mathematical Society, 59(11), 1550–1558. See http://www.ams.org/notices/201211/rtx121101550p.pdf, arXiv:1211.7188. Katz, M., Schaps, D., & Shnider, S. (2013). Almost Equal: The Method of Adequality from Diophantus to Fermat and Beyond. Perspectives on Science, 21(3), 283–324. See http://www.mitpressjournals.org/doi/abs/10.1162/POSC_a_00101, arXiv:1210.7750. Schubring, G. (2015). Comments on a Paper on Alleged Misconceptions Regarding the History of Analysis: Who Has Misconceptions? Foundations of Science, online first. doi: 10.1007/s10699-015-9424-0. Sherry, D., Katz, M. (2014) Infinitesimals, imaginaries, ideals, and fictions. Studia Leibnitiana 44 (2012), no. 2, 166–192 (the article appeared in 2014 even though the year given by the journal is 2012). See arXiv:1304.2137.